I hope that you find the following links useful. Please note the 'related links' will open in a new browser window. Martin's expert page on Selfgrowth.com can be accessed (in a new window) via this link. 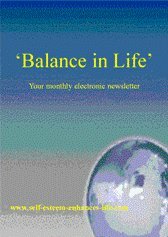 Holistic Health Articles - Free Article Submission For Authors, Free Content for Publishers! Click on the following link to 2SearchSmart - the search-friendly web directory. Please note the links on the rest of this page open in the same window (for your convenience).